Considered an at risk species, Swift Foxes have experienced significant population declines and are now estimated to occupy less than half of their historic range in the United States and Canada. 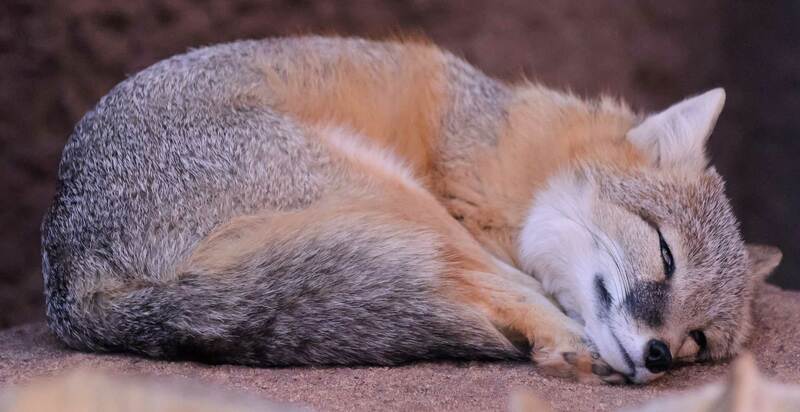 The Swift Fox was once found in dry prairie habitat from the southern Canadian prairie to Texas, but the species began to decline early this century. The last Canadian specimen was captured in Govenlock, Saskatchewan in 1928. The Swift Fox has made a comeback in much of its U.S. range and is being reintroduced in Canada. Captive breeding of the Swift Fox in Canada began in 1973 through a privately-run program. This program expanded into an intensive reintroduction project involving federal agencies, academia, and non-government organizations. Between 1983 and 1997, 942 Swift Foxes were released in southern Alberta and Saskatchewan. Although the majority of the original stock of released foxes has perished, the reintroduction efforts have been successful, and small populations have become established in the southern Alberta/Saskatchewan border area (about 192 foxes in 1997) and in the Wood Mountain/Grasslands National Park Reserve region in Saskatchewan (about 87 foxes in 1997). In 1999, the status of the Swift Fox was downlisted from “extirpated” to “endangered”. In 1999, there were an estimated 279 foxes in the wild, with the two wild populations remaining small.